The Co-Opticrew is back from LA and busy working on their previews for the site. There probably won't be much gaming in their future, but it'll be worth it - trust me. Nick Puleo (@NickPuleo) - "E3 recovery and writing"
Andrew Gaskill (@cubninja) - "Wife. Babies. Pugs. The Last of Us. 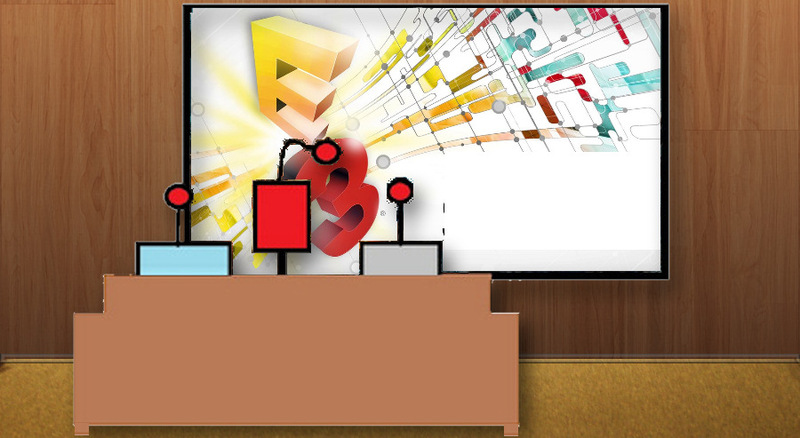 Total E3 recall. Writing." Mike Katsufrakis (@Pheriannath) - "Sleep, and lots of it. Writing. The Witcher 2. Animal Crossing. " Marc Allie (@DjinniMan) - "Chronicles of Mystara for me!" Jason Love (@JLove55) - "Borderlands 2 and wrapping up State of Decay, what is perhaps the best zombie game I've ever played"
Eric Murphy (@smurph_em)- "Monaco and Borderlands 2 for me. If I have time, I'll play around with what might be the only console I buy for a while, my OUYA." Sam Tyler (@reelsamtyler) - "It's my birthday and I'll play Family Guy: Back to the Multiverse if I want to. I don't really, but will be playing it anyway." Locke Vincent (@LockeVincent) - "Editing video from E3 for those people that don't like to read. " Tally Callahan - "Tabletop games (Mice and Mystics, Lord of the Rings LCG), work, and watching Dota 2 Tournaments." Chris Metz (@The_Lemko) - "Heading over to the Too Many Games Expo for some retro action! Also, I'm going see what State of Decay is like.."
DJ Waaland (@FusRoDJ)- "Path of Exile and State of Decay." John Bardinelli (@itsamejohn) - "Animal Crossing: New Leaf has taken over my life. But my house sure is cute!"